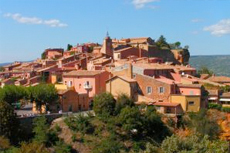 Experience fascinating towns and beautiful views on the St. Tropez Hilltop Village tour. We loved this walking tour of the hilltop village. We loved this walking tour of the hilltop village. We stopped for a glass of wine and some cheese with another couple on the excursion. Fantastic tour guide and tour in and of its self. Just wish for afternoon excursions you had the option to meet the group at the port rather than have to tender back and forth. Visit to village of La Garde Freinet. Visit to village of La Garde Freinet. Charming and lovely setting and a lovely lunch provided in a small restaurant. However too much free time in a place with very few shops. This was a three village tour. This was a three village tour. Everything was fine until we got to Port Grimaud. This is a manufactured town and totally uninteresting. We would have been better off staying in the second village and having lunch. A very fun experience in this ancient village with marvelous views.